No Hassles. No Obligation. Fast Response. We Buy Houses in Stockton Sacramento and Modesto Fast? We Buy Houses in Stockton in the Current As-Is Condition. No Contingencies, No Inspections, No Disclosures. I am an Expert in solving difficult real estate issues. I can help you! When a Homeowner asks; Who Buys Houses in Stockton, Sacramento and Modesto? My name is Peter Westbrook and I am a local real estate investor based in Stockton. 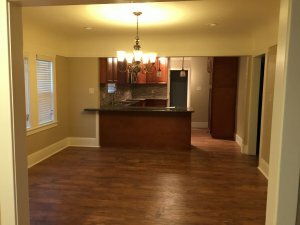 I am also a General Contractor (CSLB 1047535), and I take a lot of pride in being able to say that for over 10 years we have helped hundreds of homeowners and families that need to sell their Stockton, Sacramento and Modesto house fast. I know that I am different than my competitors. I believe that after just one phone call with me, you will see why and you will be compelled to want to meet to explore your options because I come with 35 years of business experience, construction experience, and I have been on the winning and losing side of bad real estate transactions. Every real estate problem needs that X factor, the push, the driver, the one thing that makes it all come together and happen. I believe that is me. I have been called “the fixer”, the “enforcer”, the “problem solver”, the “House Whisperer” and together we can tackle that house problem. Meet me halfway…. Call me at (209) 481-7780. I have earned my stripes with years of personal experience and I have personally fought my way through persevered in most every situation. I not a quitter and if you are a fighter I can help you decode the technical jargon, legalese, and show you a pathway to resolve that burdensome real estate problem. In almost every case where I have purchased a “Stockton or Sacramento house”, the homeowner was convinced that I could not help and that there were no real solutions. Real estate is at the core of our overall local economy. We see its effect when the real estate market is NOT healthy. You can see it in neighborhoods with individual houses that are struggling. We solve problems on such a larger scale for the community when we buy, renovate and either rent or sell a property. Lots of money changes hands and goes into the local economy. Jobs are created and many people and businesses are involved. We are weaved into the fabric of the communities we serve. We Buy Houses in Stockton, Sacramento and Modesto and we pay cash, but most important we are problem solvers on such a larger scale. Whether your real estate issues are a result of a foreclosure, bankruptcy, divorce, inheritance and/or probate, or a just landlord who’s tired of dealing with tenants, or any number of other reasons… we’d love to help you discover all of your options. 2) Put thousands of dollars into the house and then try and sell it and compete with all of the other pretty houses on the Market. 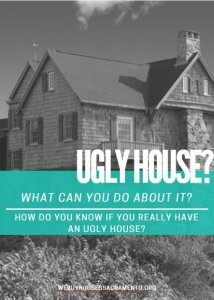 In this NEW economy, where homeowners are just barely hanging on, you can bet that if there is an unwanted or UGLY house involved, life has hardly stood still and waited for the homeowners to financially catch up and make necessary repairs. Hep me sell my Inherited House in Stockton CA: Many homeowners end up with surprise houses that have had maintenance issues deferred for years because an elderly parent could neither make the repairs or afford the repairs. These houses also include a bit of emotional baggage that tend to paralyze those that inherited the property with little or no means to fix them up. Sell My House in Stockton because of a Divorce: Certainly when you divide the assets and cut the income at best by half, realistically if two paycheck s barely covered the expenses, one can hardly maintain a house let alone keep it in marketable condition. I need to Sell My Stockton CA house because of a Job Relocation: It happens a lot and it can mean two mortgage payments and or a vacant house. I need to Sell My House in Sacramento because of a Job Loss: When income is cut the maintenance on a house is deferred and putting food on the table is the priority. I need to sell my Stockton CA Rental House: How many times would you be willing to fix a house because the tenants were animals and tore it up for the 10th time? The landlords retirement accounts are shrinking and who has the $20,000 that the house needs in updates and/or repairs. Help Me Stop a Foreclosure in Stockton: The Banks do NOT maintain properties, homeowners do, but in today’s world that is even debatable. So, if the Roof that was leaking one year ago and still hasn’t been fixed, you can be assured that the structure and ceiling underneath are bearing the brunt of the problem today. Houses are like dominos, they have a tendency to fail in sequential order. Its a weakest link thing. For families it’s usually a matter of priorities and If the homeowners financial condition has not improved and allowed him/her to make the necessary repairs or the replacement, the house is going to continue to suffer. If homeowners are juggling the cost of a mortgage along with the cost of repairs and putting food on the table, the homeowner today is prolonging maintenance to any future date so they can eat. So what is a Stockton Homeowner to do? It’s not like you don’t have choices. You can hold on to a property and pay its Property tax, Homeowners Insurance Premiums and continue to defer maintenance on a house that is otherwise a virtual money Pit? Add on top of that a code violation or two from the city and you may just have a motivated seller with buyers NOT exactly lining up. My Solution: Call me (209) 481-7780 it may just set you free. What have you got to lose? At least you will get great understanding of the real estate market, some guidance and worst case scenario a Fair Market Value Offer on your Stockton CA house in its “As-is” condition. You will walk away with more information to make a better informed decision. My Solution is Free and it usually turns your Liability back into an ASSET. Sell Your Stockton House Fast! Is it time to Sell Your Stockton House? Are you currently facing any of these situations where selling your Stockton House may help you? Do You Own A Vacant Stockton House? Did You Inherit An Unwanted Stockton House? Do You Need To Relocate Quickly And Need To Sell Your Current Stockton House Fast? Do You Want To Avoid Paying Realtor Commissions in Stockton or Sacramento? Do You Own A “Fixer Upper in Stockton” That You Don’t Want To Fix Up Or Don’t Have the Money To Fix Up? If you answered “yes” to one or more of these questions, we can help! We are real estate specialists in solving real estate problems… especially ones that pose a financial burden to you. We can solve almost any financial problem that your property is causing. Let’s break this down to the most common denominator: I am an expert in helping you sell your Stockton House fast. As a cash home buyer, there is no better, not because I say so, but because my customers say so. I know how to get things done and my team is committed to one thing… “Selling your Stockton House” Fast. We are NOT Realtor’s and we don’t care that the house needs work, what the address is or whether there is mold and mildew, water damage, dry rot, bad plumbing and electrical, rotted bath and kitchen floors or broken tiles in the bathroom. We don’t care that there are code violations with the City. When you sell your Stockton House to us, we take that liability that you currently have and turn it into an ASSET for you. We do the leg work. We make the phone calls. We clean up the mess! All we care about at the end of the day is that we keep our promise to you to buy your house and close on the day that we agreed upon. Send us information in the form below and we’ll get back to you promptly (usually within 24 hours – we’ll give you a call and show you the options to help solve your current situation. One way to sell your house fast in Stockton is with our “We Buy Houses Stockton” program where we’ll make you an all-cash, no-obligation, and no-hassle offer today and we’ll even guarantee it. This is how it works; you’ll tell us a few things about your property… we’ll get to work doing some research… then we’ll view the house and present you with a fair market offer based on what we can pay for the property with a quick close (we can close in as little as 7 days if you need to) and with cash (so you don’t have to wait for a bank to fund the purchase, we’ll just bring a check to the closing table. 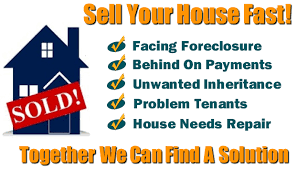 We buy houses Stockton for cash and we have the ability to close quickly… in as quickly as 7 days if you need us to. 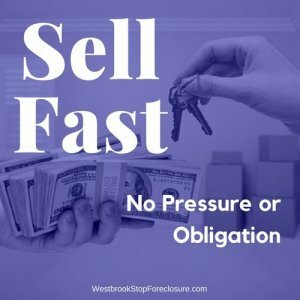 At Westbrook REI, we are en experienced cash buyer that pays a top of market for houses, and we require no appraisals, no inspections (termite, dry-rot, etc.) no repairs, and we charge NO FEES. We are look at all types of houses. We buy them in their current AS-IS condition with absolutely NO Contingencies in the Stockton area. If you are looking to sell a Stockton house quickly, we would like the opportunity to make a fair offer on your house. We can have an offer in your hands in a matter of days and your house sold and closed by the end of the month. Give us the chance to solve your unwanted house problem. We provide comprehensive solutions for Stockton CA investment property buyers and sellers who need to sell fast and investors looking to grow their real estate investment portfolios for better returns. Westbrook REI is one of Sacramento, Stockton, Modesto and Manteca CA top real estate investing groups, with highly sought over real estate investment properties because we focus on doing things right. We specialize in buying distressed properties (multi-family, commercial, retail, single family, bank REO’s, from sellers who need to sell fast)… and working with property sellers who just can’t or wont sell their properties traditionally with a real estate agent. A big passion of ours is helping to be a part of beautifying the communities we work in by helping people get out of tough real estate situations by buying that unwanted and neglected house. We then work to repair and remodel each house for their new owners. 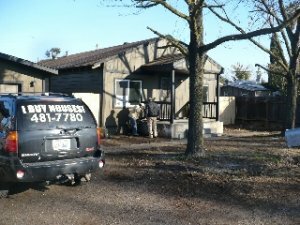 We come across many distressed single family Sacramento, Stockton, Manteca and Modesto, CA properties because of our relationships in the market with multiple buyers and sellers, we secure those distressed properties in a matter of days. Many people call these properties Distressed, Fixer Uppers or “Handyman Specials”. Our very effective marketing programs, allow us to get investment property deals in Stockton that most other investors never even hear about. We pass those savings along to our investor buyers on our VIP Property Deals list. If you’re interested in buying Stockton investment properties at steep discounts (both single family and multi-family)… whether you plan to buy and hold as a rental property or fix the property up and resell it… join our VIP Property Deals list today to get an email when we secure new properties that fit what you’re looking for. Being one of the areas premier real estate investment firms we run across a lot of great investment property opportunities in Stockton and the surrounding San Joaquin, Stanislaus and Sacramento County’s. Our Early Alert Property Buyers list gets first access to Stockton investment properties for sale before we list them on the multiple listing service, other real estate web sites or our website. Also, we work with qualified local investors who want to leverage real estate to help you diversify your portfolio and earn solid returns. From buying Stockton rental properties from us, to joint venturing with us on real estate projects, to debt investors looking for a consistent return… we offer many options that you may be interested in.